Yes, the same Ralph Finch we all know, the target ball guru, the journalist, the editor, the collector, the all-around good guy, sold his cologne collection. The Ralph Finch collection of fine early colored cologne bottles was featured in auctions throughout the 2013 auction season at Heckler. 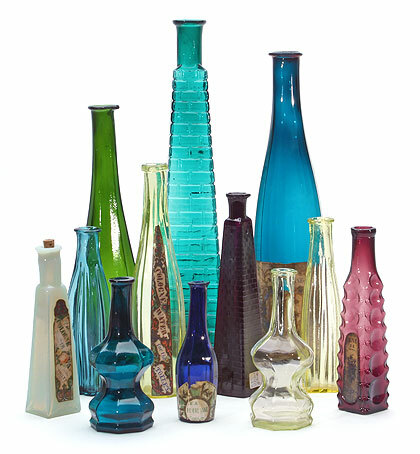 Collected over many years, the collection boasted an exceptional range of color, variety of forms, rarities, as well as a full representation of the evolution of the cologne bottle from freeblown to paneled, to corseted, to the elaborate mold blown figurals. Most of the examples in this collection were manufactured at the famous Boston & Sandwich Glass Works. A consummate collector, this is but one of Mr. Finch’s collections, with the best known being his target ball collection. Ralph has for years produced a detailed, heavily researched periodical “Target” that has transformed the collecting of target balls throughout the world.